From the time graphene was initially isolated in 2004, it has received huge interest because of its excellent electronic, thermal, mechanical and optical properties. A range of techniques, which include scanning electron microscopy (SEM), X-ray photoelectron microscopy (XPS), transmission electron microscopy (TEM), atomic force microscopy (AFM), and Raman microscopy have been used for graphene characterization, revealing a large amount of information. Raman microscopy has a huge impact on understanding graphene. This information rich spectroscopy can be used to obtain insight about graphene on the molecular level. For instance, the Raman spectrum of graphene can be used to precisely and simply determine how many layers are there from a single-layer sample to a sample with up to twenty layers. It is also possible to use the Raman spectrum for determining the uniformity and quality of graphene films. One major challenge currently facing the graphene industry is the difficulty in controlling the quality of graphene sheets when produced over large areas using industrial scale techniques. The key to solving this challenge lies in gaining a thorough understanding of the synthetic methods used to fabricate macro- sized single-layer graphene films. 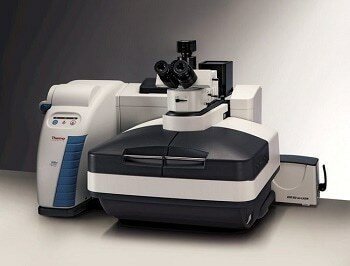 Figure 1 shows the DXRxi Raman Imaging Microscope. It is possible to use Raman imaging for gaining insight with respect to crucial parameters and mechanisms governing nucleation and graphene growth through chemical vapor deposition. This knowledge can be used for developing scalable techniques for engineering high-quality graphene samples with excellent properties. The article introduces the latest tool available for elucidating the growth of graphene through CVD synthesis, the Thermo Scientific™ DXR™xi Raman imaging microscope.